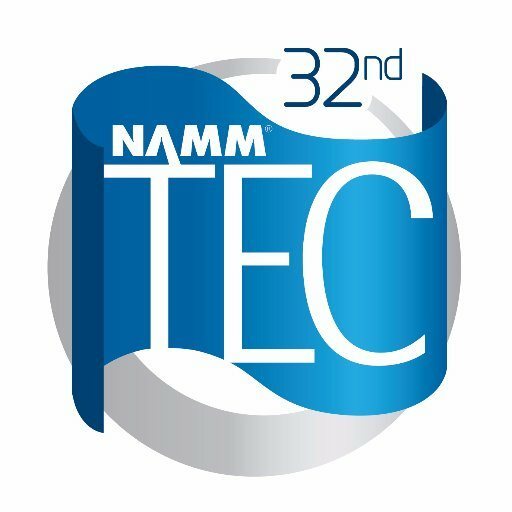 Winners in 31 technical and creative achievement categories were announced at the 32nd annual NAMM TEC Awards, presented annually by the NAMM Foundation and held January 21 in Anaheim, California. 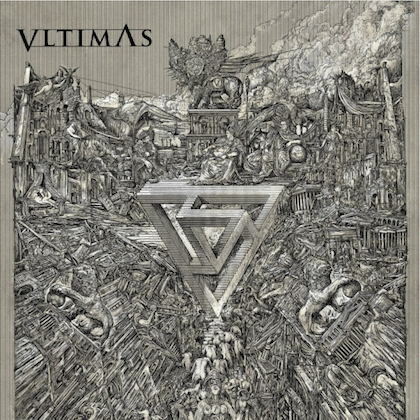 The annual event celebrates the best in professional audio and sound production and is held during the NAMM Show, the world's leading global music industry trade event. Comedian Sinbad returned to host for the third time. Joe Perry, one of music's most significant artists and executives, received the evening's highest honor, the Les Paul Award, presented to remarkably distinguished and accomplished individuals from the music industry. 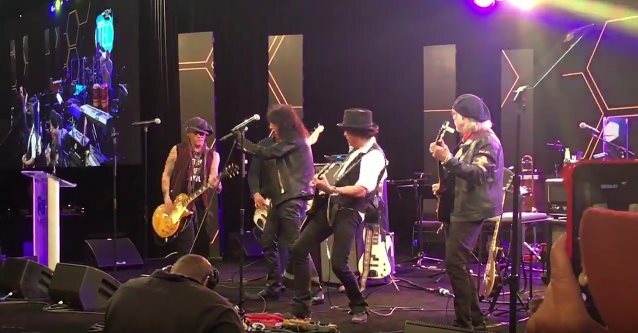 HOLLYWOOD VAMPIRES bandmate and actor Johnny Depp presented Perry with the award, then joined Perry, Brad Whitford and Alice Cooper on stage for a live performance. Also appearing with them were Glen Sobel (ALICE COOPER) on drums, Robert DeLeo (STONE TEMPLE PILOTS) on bass and Colin Douglas on percussion. Perry dedicated the award to his manager Howard Kaufman, who recently passed away. Keeping it in the family, famed AEROSMITH engineer and producer Jack Douglas also became the newest inductee to the NAMM TEC Awards Hall Of Fame. Douglas is associated with many of the band's most iconic releases and affectionately dubbed "the sixth member" of AEROSMITH for having contributed lyrics to several tracks released from the band. He also engineered and produced many multi-platinum AEROSMITH albums, including "Toys In The Attic" and "Rocks", both of which ranked among Rolling Stone's list of the "500 Greatest Albums of All Time." Douglas rose to prominence when the Record Plant Studio opened its doors and eventually engineered John Lennon's "Imagine" and THE WHO's "Who's Next" EP. In total, winners were selected from 180 nominees.